Lashperm and Neutralizer refill 2 tubes of 3.5 ml/0.118 fl.oz. for 18 applications. 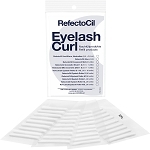 Ingredients: Lashperm: Aqua, Thiolactic Acid, Cetearyl Alcohol, Ammonia, Sodium Cetearyl Sulfate, Hydrolyzed Collagen, Sodium Laureth Sulfate, PEG-40 Castor Oil, Ceteareth-20, Parfum, CI 47005, Sodium Sulfate, Cysteine HCl. Neutralizer: Aqua, Cetearyl Alcohol, Hydrogen Peroxide, Sodium Laureth Sulfate, Citric Acid, Sodium Phosphate, Parfum. 2 tubes of 3.5 ml/0.118 fl.oz. for 18 applications. 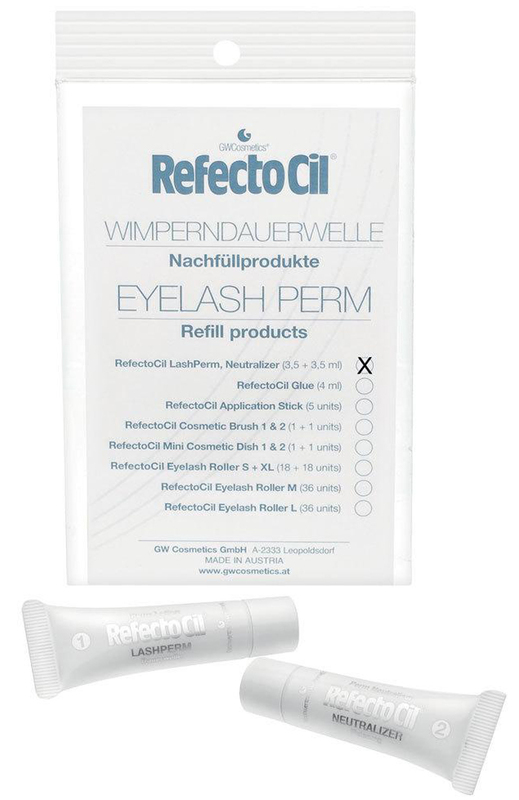 Lashperm: Aqua, Thiolactic Acid, Cetearyl Alcohol, Ammonia, Sodium Cetearyl Sulfate, Hydrolyzed Collagen, Sodium Laureth Sulfate, PEG-40 Castor Oil, Ceteareth-20, Parfum, CI 47005, Sodium Sulfate, Cysteine HCl. Neutralizer: Aqua, Cetearyl Alcohol, Hydrogen Peroxide, Sodium Laureth Sulfate, Citric Acid, Sodium Phosphate, Parfum.